EDINBURG – Gorena Elementary School from the Edinburg Consolidated Independent School District built a pavilion that serves as an outdoor classroom thanks to a $5,000 Lowe’s Toolbox for Education® grant from the Lowe’s Charitable and Educational Foundation. Ramos and his principal, Diane Willis, applied for the grant to create the Gorena Beautification Extension project, which included the pavilion and some trees. “We also purchased and planted seven oak trees as part of the project. We used all of the funds in the outdoor area of the school,” Ramos said. Edinburg CISD’s Maintenance and Facilities Department helped with the construction of the cedar pavilion with a metal roof. 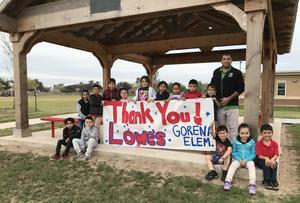 Gorena Elementary School was one of 608 schools across the United States awarded a Lowe’s Toolbox for Education grant during its fall 2017 grants cycle for improvement projects. 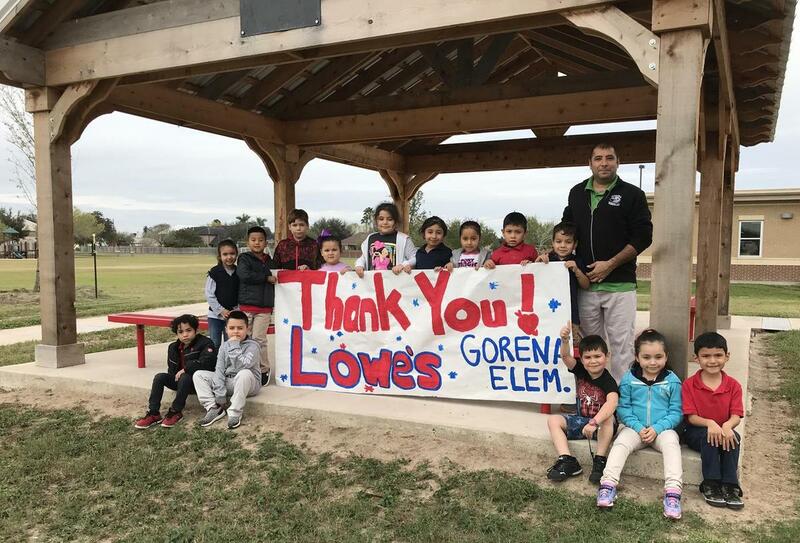 Since its inception in 2005, Lowe’s Toolbox for Education has provided more than $54 million in grants to more than 11,000 schools, benefiting more than 7 million schoolchildren. Grants are available to K-12 public schools in the United States for a wide range of improvement projects.